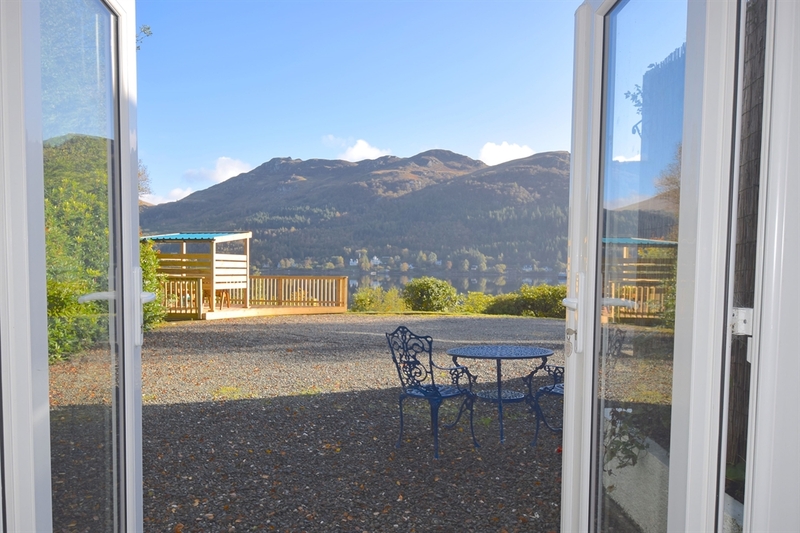 A comfortable cottage ideal for a single traveller or couple looking for a quiet break. One mile from Lochgoilhead. Enjoy the ever changing view from the lounge. 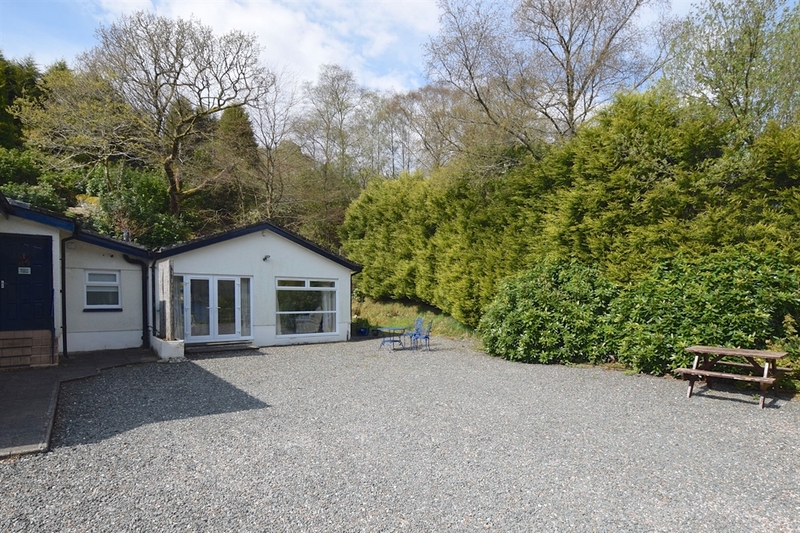 Bowater Cottage sits at the end of a private driveway, giving it that tucked-away feeling. The cottage has its own entrance leading into a small hallway and then into a modern kitchen. 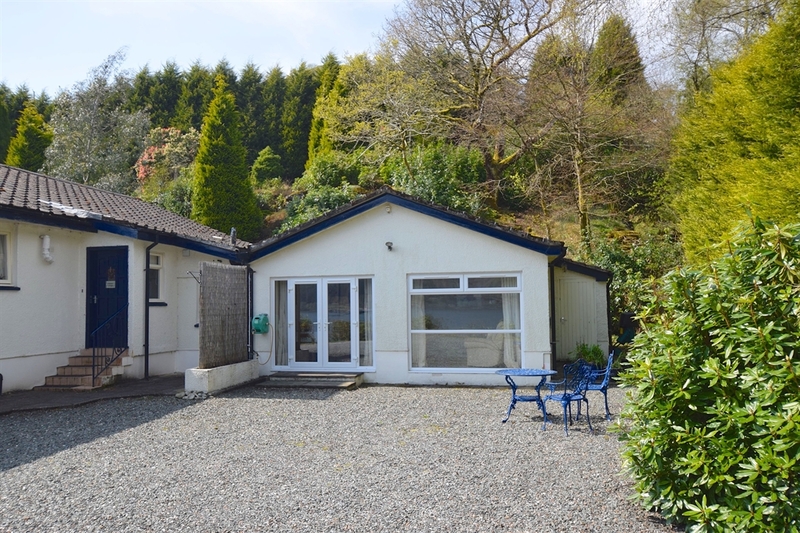 It has all the crockery and equipment you will need for a self-catering holiday. The lounge has a floor to ceiling window to make the most of the view while giving it an open and bright feeling. The French doors open up onto a patio seating area with patio furniture. Central heating is by a gas combi-boiler with instant hot water. As seen in the picture gallery there is a viewing deck with a covered seating area to the front of the cottage. Perfect for artists and nature lovers. 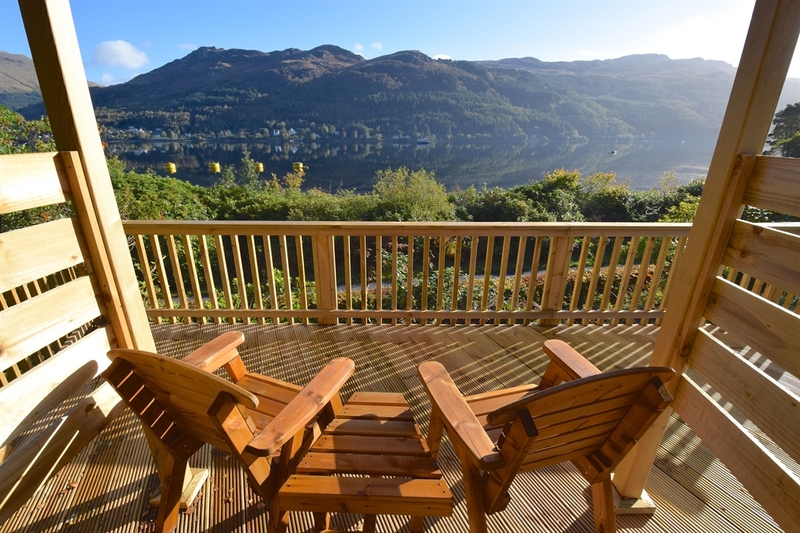 This is the place to sit in all weathers and watch the coming-and-goings on the loch. Bring your binoculars. The wildlife count includes: Gannets, seals, goldfinches, jays, herons, cormorants, oyster catchers, curlews, eider duck, red squirrels, buzzards, mergansers, dabchicks and a fleeting sparrowhawk. See what you can add… Leonard & Fiona use this occasionally but guests are welcome to relax here any time they like. Privacy: Bowater Cottage is built adjacent to Bowater House. Privacy is assured and will be respected. If you need anything during your stay you are welcome to call on the owners, but otherwise you will be left to enjoy the peace and quiet of this special place.